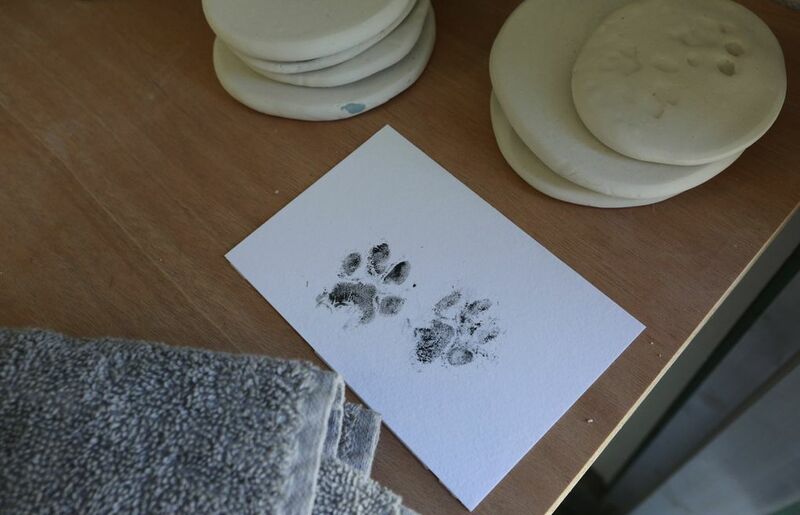 Resting Waters handles your pet’s death with care — and a smaller carbon pawprint. FROM A FEW feet away, the metal trays look to be holding tiny rocks, plucked by a very particular and tidy collector. A closer look reveals that each tray holds not rocks, but remains — one holds the bony bits of a ferret, the other a cat; both were pets, and both are done with their jobs as companions. One more thing they have in common: After their deaths, they were brought to this place, where their little bodies were carefully and lovingly handled and reduced to bones. While their earthly hourglass has been turned, in death they are part of something new. NO ONE CAN SAY for certain what happens to the souls of formerly living things, but when it comes to the wrapper, it’s pretty clear. You either bury or burn. 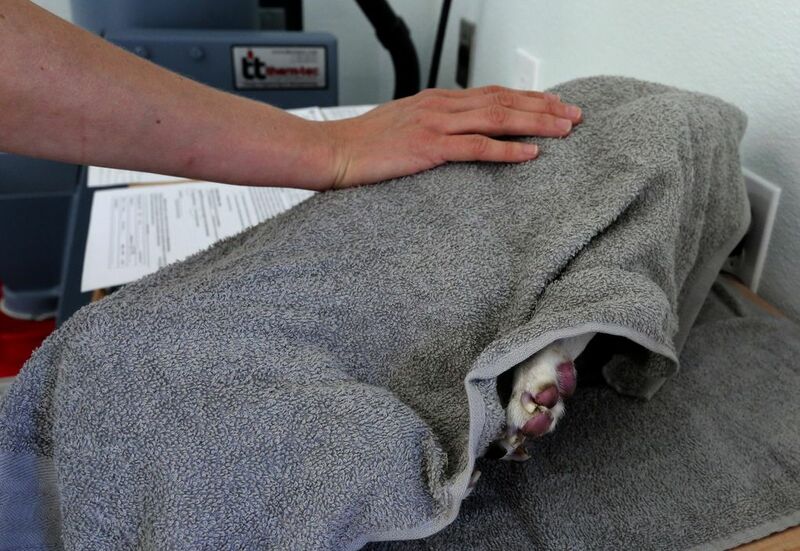 If you’ve been through the gut-wrenching experience of having a pet put to sleep, you know that cremation is as familiar a choice at the vet clinic as it is at the funeral home. The clinic makes it easy. Your pet is taken away; you check the “cremation” box on the form and settle your bill; the clinic calls when your box of cremains is ready. “And that’s it,” says Darci Bressler. 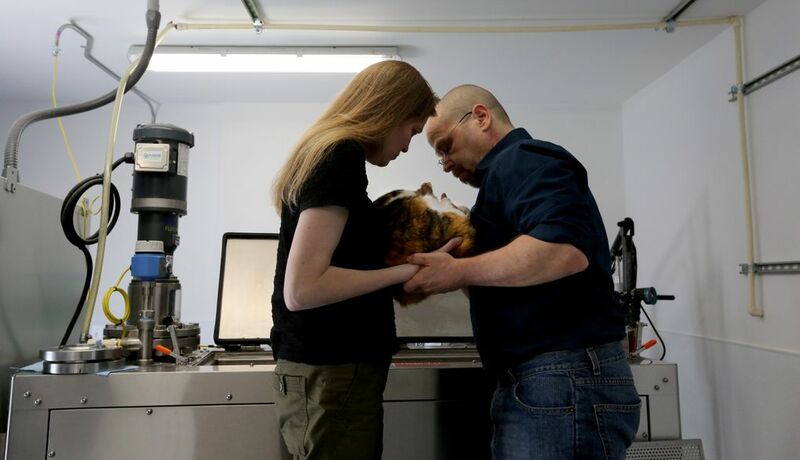 She and her sister, Joslin Roth, have met a lot of pet owners who want a better chance to say goodbye, a promise that their companion will be respectfully handled, a way to just do this death thing better. And, this being Seattle, they know those companions want their commitment to good environmental stewardship to stretch as far as possible — into the days after life ends. Out of death, then, was Resting Waters born. 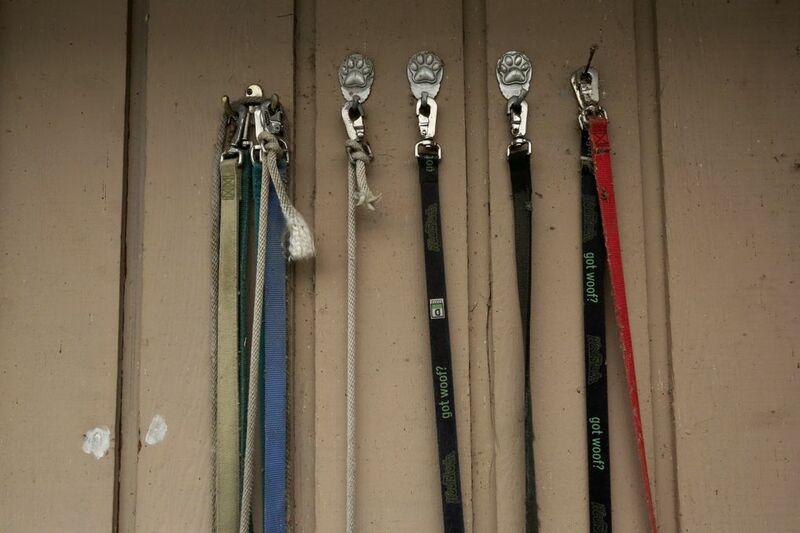 Bressler and Roth’s West Seattle pet funeral home and disposition service does not burn animals’ bodies. There are no body bags, no freezers, no carbon emissions. What there is: a stainless-steel machine about the size of a car, and some chemicals, and some drying racks. Resting Waters is the only place in the city that does death this way. WHAT RESTING WATERS has been doing since December is called alkaline hydrolysis or, more commonly, aquamation. The process is remarkably simple. 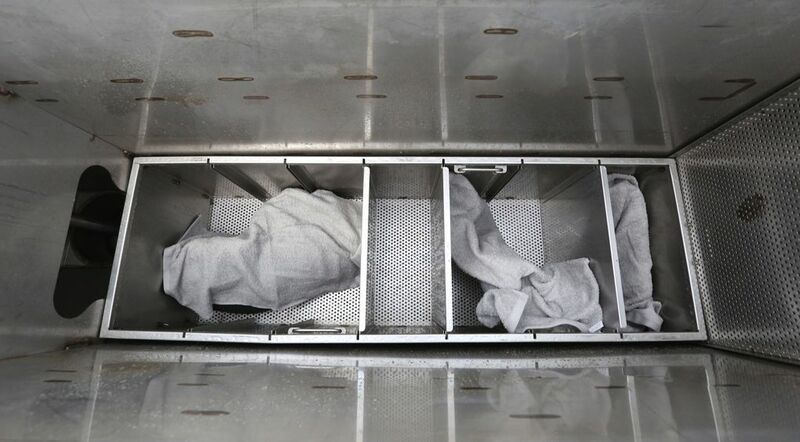 A deceased animal’s body is placed in a steel tank. The tank fills with water, and a few scoops of potassium hydroxide and sodium are added (amounts depend on how hard or soft your water is, as well as your elevation). The water heats to a little more than 200 degrees and is kept at that temperature, agitating gently, for 19 hours. “The water is in constant movement,” says Roth. When the cycle is over, a squeaky-clean skeleton is all that remains. All soft tissue has been reduced to a coffee-colored liquid that slips down the drain. No emissions enter the atmosphere, because where there is no fire, there is no smoke. “All the chemical is used. All that’s left is salt and sugars, and those go down the drain, to the water-treatment plant,” Bressler says. Should a pet have medical devices, such as screws or rods, those come out intact as well, Roth explains, opening her hand to reveal a set of shiny metal parts once implanted in a dog’s leg. The Resting Waters tank holds 400 pounds, and thanks to metal dividers that slot in to brackets in the tank, several combinations of sizes of animals can be disposed of at one time. It’s a business, after all, even if it does deal with grief. Once Roth or Bressler removes a skeleton from the tank, the bones are patted dry and arranged on a metal tray in a closet-sized space in what was once a garage, behind the Resting Waters office. The dry bones are put into a cremulator, a machine that pulverizes the bones into powder. The powder goes into one of Resting Waters’ cardboard canisters, which are compostable and recyclable, and double as scatter vessels. Bressler and Roth would like to offer more choices, and in keeping with their eco-friendly ethos, they help clients find sustainable wood vessels. Once the canister has been filled, clients book a day and time to collect the remains. “It’s a difficult time. That’s why we’re by appointment,” Roth says. Grieving clients will never overlap at Resting Waters. 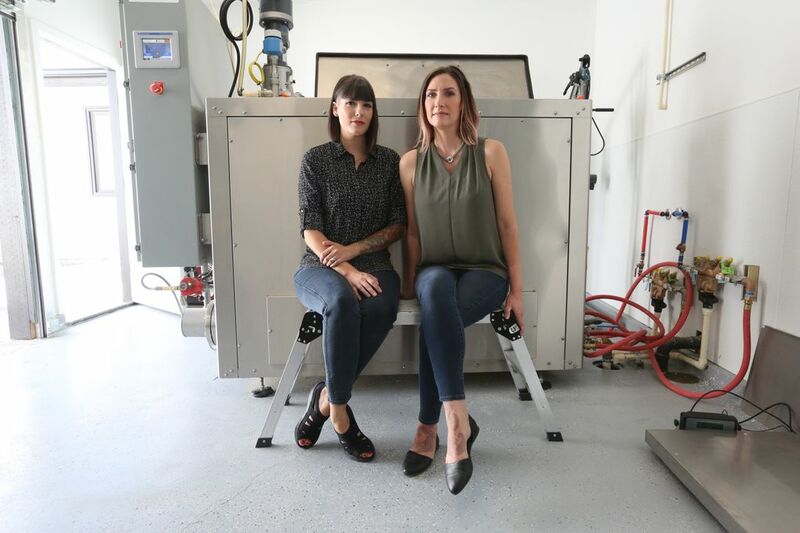 THE COMPANY THAT made Resting Waters’ alkaline hydrolysis machine (one of the very few companies in the world that do) is Bio-Response Solutions, a nine-employee, family-run firm in Danville, Ind. Bio-Response’s incredibly affable CEO, Joe Wilson, wears a ball cap in most of his photos and once got rid of a pickup after finding out the parts weren’t all American-made. He’s a passionate devotee of a greener way of death care. Once you get him started on that topic, it’s like standing by the subway tracks when an express train hurtles by. “Incineration works if you can constantly feed it. But if you have to turn it on and off all the time, it’s really inefficient,” he says, talking about aquamation’s advantages over cremation. Then there is the massive carbon footprint of a retort, as the incinerator is called. “Take the pets. Just to start a retort, in a pet business, to do the first cat is 3 million BTUs (British thermal units). That’s enough to heat a house in Seattle for a week, week and a half. It takes 15 million BTUs to burn a cow.” Not to mention what is contained in the smoke, he says. Many agricultural schools and testing centers use aquamation because it is much more environmentally friendly than flame. And that liquid that flows down the drain, after the process is done? It’s inoffensive, much cleaner than emissions from a retort. Yes, he did say “dentures.” Bio-Response makes aquamation units for humans, too. And the practice is catching on as people who don’t want burial decide to be disposed of in gently agitating waters rather than roaring flame. “Burial is unsustainable. We don’t have the space to bury everybody who’s alive today on Earth,” Wilson says. “It takes a lot of energy and materials to build a casket — steel, aluminum, wood. Why would you take all those materials and turn them into something that can’t be recycled? His company, in its 11th year, is selling the devices to funeral homes in the United States, and holds overseas patents. As of mid-June, Wilson’s company had 75 tanks in use for pet aquamation in the States and in Canada. Resting Waters is the only one in Seattle, Wilson says, and he recalls Bressler and Roth like old friends. “I talked with these ladies for a year. It’s really neat,” he says of Resting Waters. Perhaps not surprisingly, he’s been to Seattle to see the only Bio-Response tank in town. Like a lot of people involved in the “death-positive” community — one that encourages greener ways of disposition, preplanning and control over one’s own death — Wilson is upbeat and friendly, and if you decide aquamation is the way to go, well, it’s nice to think that he made the machine you’ll be agitating in. When he dies, he’ll do the same. 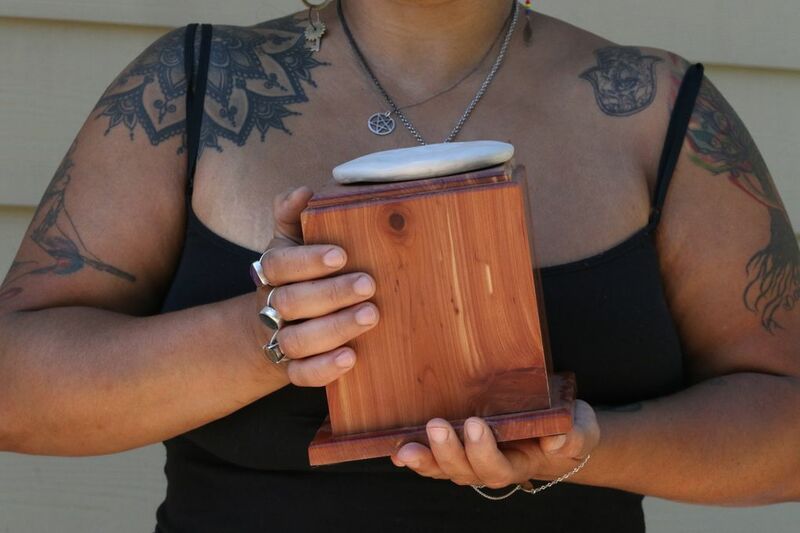 LASHANNA WILLIAMS, of Seattle, makes her living as a palliative doula, or someone who offers care — in her case, massage — to the terminally ill. Her beloved Lab-Shepherd mix, Prince Charming, was euthanized this spring at home with family all around. She wanted the same care extended to Prince Charming after death, so she called Resting Waters. 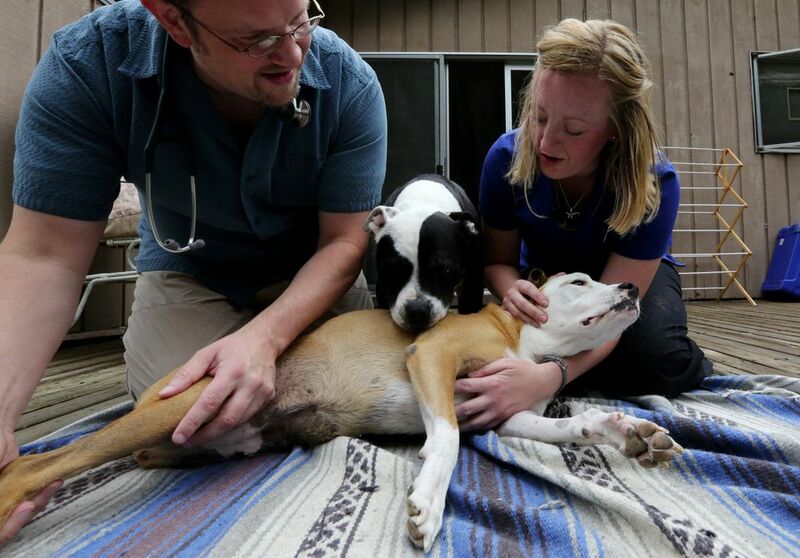 “Through getting to know Joslin and Darci … [I know] they love my animal,” Williams says. “I knew his head wasn’t going to be bumped,” or his body mistreated in any way. She says she is comforted knowing she did all the things for Prince that humans do for one another. Some of his ashes have been made into a crystal ball, some reside in a small crystal on his mother’s collar and some will be scattered at his favorite forest. A couple of weeks after his death, his remains sat, ready to go, so to speak, on her piano. Attorney Emily Albrecht’s voice broke a little when she talked about Franklin, her Boston terrier. She rescued him when he was 4, and he died just shy of 11. She learned about Resting Waters from a tweet, and the place intrigued her. “It was just in my mind ever since I read about it,” she says. As she grappled with the impending death of Franklin, her thoughts turned again to Bressler and Roth. 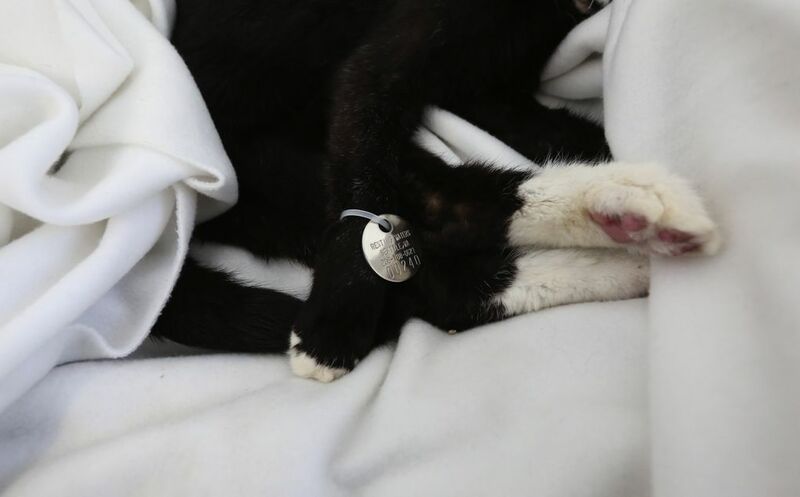 Franklin was picked up from the vet’s office — a free service offered by Resting Waters — and Albrecht received a call the next day about when she could pick up his remains. IT’S HARD NOT to feel that way about Bressler and Roth. They have ready smiles and warm handshakes. They sometimes finish each other’s sentences and, like Wilson, are passionate about what they do and how they hope to change post-death care. They know their clients’ stories and are regular recipients of emails with photos and stories about the pets they’ve handled. “They want us to see what they looked like when they were alive,” Roth says. Looking at each other to jog their memories, they describe serving clients with 100-pound dogs, at least three birds, a corn snake and a bearded dragon. The little lizard was “about this big,” says Roth, holding her index fingers a few inches apart. “And we were able to give them a full set of remains,” adds Bressler. The “full set” idea is one that aquamation advocates point to when comparing it to flame cremation. 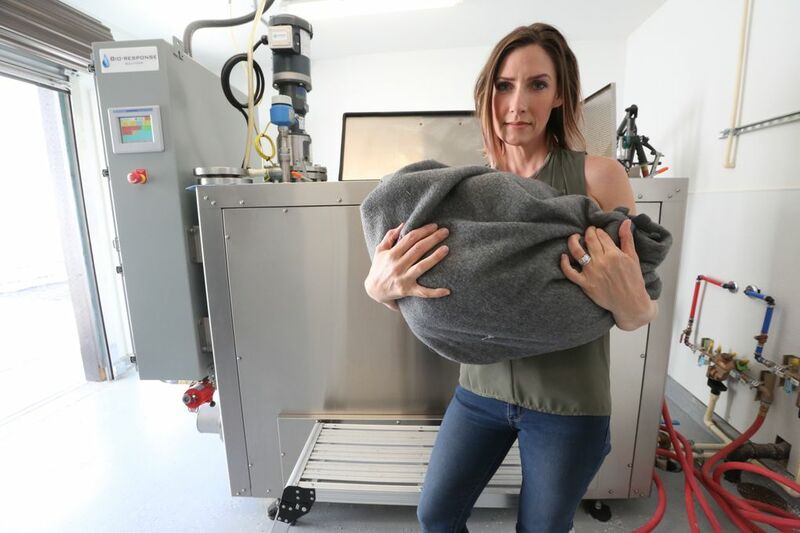 Families of aquamated pets and humans receive 20 to 30 percent more remains back than they do in flame cremation, says Bio-Response’s Wilson. 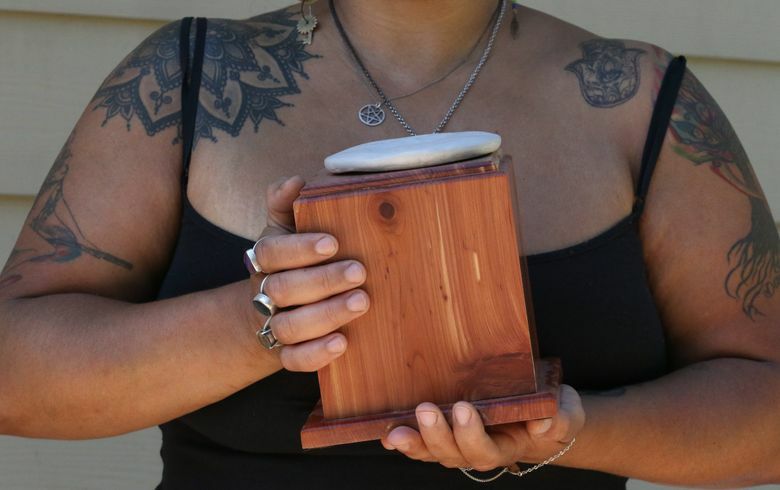 When your pet dies, though, your concern for your carbon footprint and whether an urn is compostable might not be top of mind. Like clients Williams and Albrecht, you are faced with the severance of a cherished relationship, and it’s a parting of ways that one of the parties doesn’t have any say in. 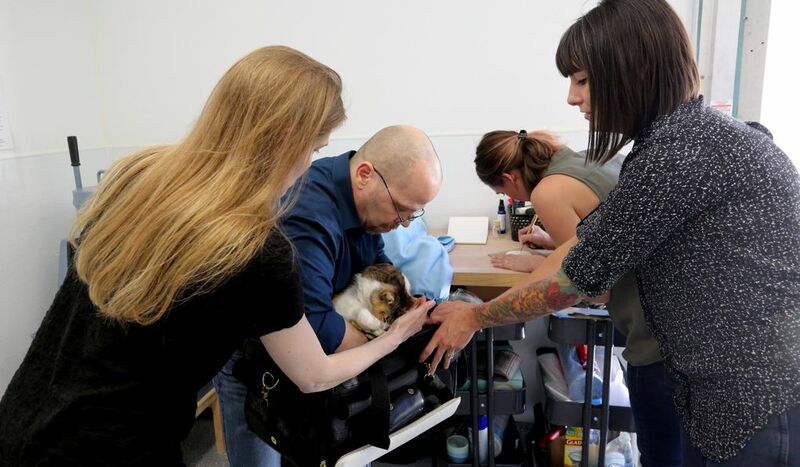 You might have liked your dog/cat/bearded lizard better than you liked some of the humans in your life, so just walking out of an office, leaving your pet on an exam table, isn’t going to cut it. That moment can include as many family members as a pet had, both human and animal, the sisters stress. 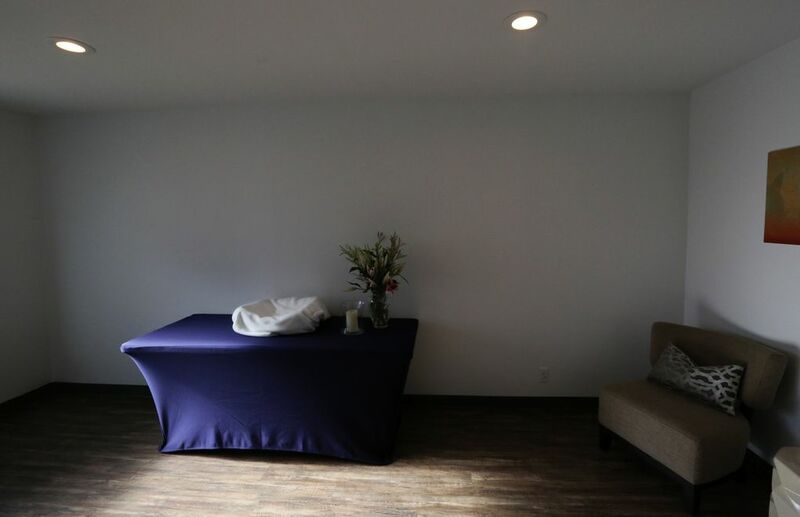 “We keep the room plain so there’s room for a big photo and chairs … the family can use the space however they want,” Bressler says, referring to Resting Waters’ large, airy room at the rear of the building. Resting Waters’ clean disposition method and commitment to providing death care equal to a human standard fit with our green, relatively kid-free city. Bressler recalls a cat that had been through a ritual, rubbed with essential oils and draped in crystals. A dog once arrived in a homemade coffin covered with flowers, and when they opened it, the body was surrounded by yet more blooms. Melissa Davis: 206-464-2506 or mdavis@seattletimes.com. Alan Berner is a Seattle Times staff photographer.